No doubt assumptions will be made based on this film’s title alone, but it’s not the crap ocker rubbish you might be anticipating. Last Cab to Darwin is based on the true story of cab driver, Max Bell, and follows the 2003 stage production of the same name. 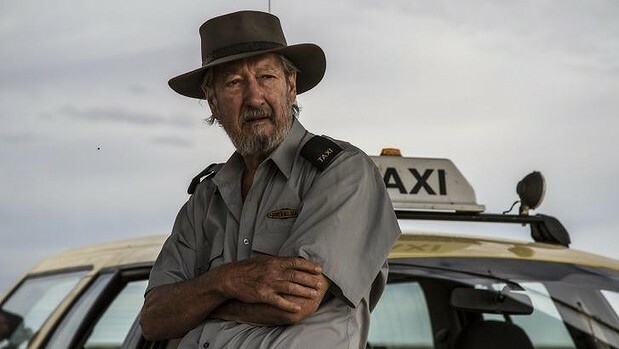 In the film adaptation, Rex (Michael Caton), a cab driver in Broken Hill, is given three months to live following a failed surgery targeting his stomach cancer. Euthanasia has been recently (and temporarily) legalised in the Northern Territory, and Rex drives his cab to Darwin, to meet euthanasia advocate, Dr. Nicole Farmer (Jacki Weaver). In doing so he leaves behind his aboriginal neighbour and clandestine missus, Polly (Ningali Lawford), who is heartbroken by his decision to leave. Along the way he meets Tilly (Mark Coles Smith), a troubled young aboriginal man who prefers to play the role of drifter rather than take on the responsibilities of husband and father. 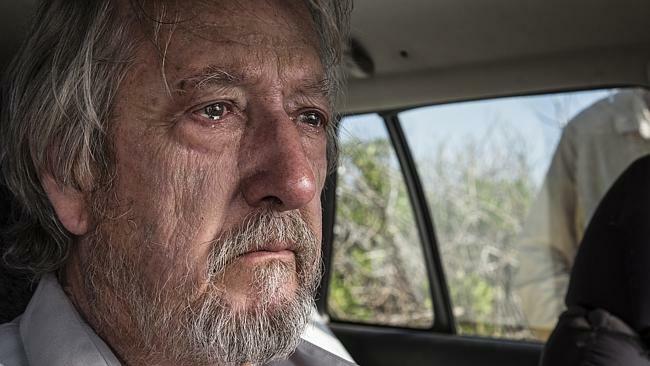 The outlook may look bleak, but Last Cab to Darwin doesn’t serve up the misery one might expect from a film about the right to die. As clichéd as it sounds, this is a story about the journey, and there is no shortage of touching moments. That’s not to say it’s maudlin, and I didn’t shed a tear (whether that’s a good thing or not), but there are certainly opportunities to smile. Michael Caton brings plenty of heart to the leading role. Rex is stubborn as hell, but has a heart of gold. He finds a perfect match in Ningali Lawford’s Polly, who acts hard as nails, but seems destined to crack at any moment. Mark Coles Smith is a delight as the cheeky and irresponsible Tilly – utterly flawed, but charming nonetheless. As Rex’s mates, John Howard, David Field, and Alan Dukes are your quintessential Aussie blokes – catch them in the bar and they might come across as drunk dickheads, but under the surface, they’re kind-hearted souls. Jacki Weaver is convincing as Dr. Farmer, but it’s hard to tell whether there’s a coldness to her character, or if it’s just those creepy Animal Kingdom eyes shining through. Rex jokes that he thinks she wants him dead, and at one point, you do wonder exactly whether she does have his best interests at heart. As Rex passes through various Northern Territory towns, there’s a noticeable shift in the crowds that frequent the local pubs. From a quiet pub in Broken Hill that doesn’t serve blacks, to one that is full of them, to a laidback yet thriving hotel that hires backpackers as staff, Rex’s eyes are opened to a world that isn’t too far from home, but different nonetheless. There are some remarkable shots by cinematographer Steve Arnold, showcasing the beauty of the Australian landscape without overdoing it. Jeremy Sims has previously directed Beneath Hill 60 and Last Train to Freo (and it’s easy to mix the latter title up with the current one). Here he delivers yet another strong Aussie film, and together with co-writer Reg Cribb successfully condenses a three hour play into a meaningful story. The only lowlight is a scene where Dr. Farmer appears on the Today show which was awkward and ridiculously unrealistic. Whether Last Cab to Darwin will find an appreciative audience is difficult to say. While it evokes sympathy for Rex’s plight, it doesn’t quite have the same emotional pull as a film such as Red Dog, which garnered both more tears and more joy. Last Cab to Darwin instead seems content to cruise along, while admiring the view. But you can’t get much more Australian than that.